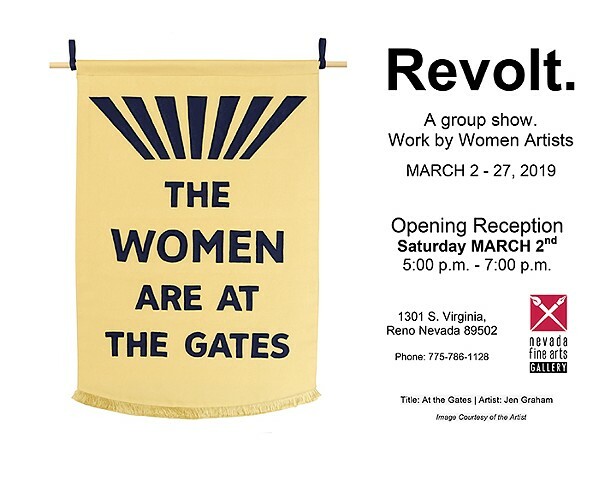 My piece At the Gates will be included in an exhibition of works by women artists on the topic of "Revolt", curated by Lara K. Schott. The exhibition runs from March 2-27, 2019 at the Nevada Fine Arts Gallery in Reno, Nevada. There will be an opening reception on Saturday March 2nd from 5pm-7pm. My pieces Don't Shoot at Me and Trajectory Patterns will be included in the Guns: Loaded Conversations exhibition at the San Jose Museum of Quilts & Textiles April 22 - July 15, 2018. My work will be included in the exhibition Vexillum: Flags as Cultural and Political Objects at The Holland Project in Reno, NV. The exhibition will be up May 8 - May 24 with an opening reception May 17 from 6-8pm. 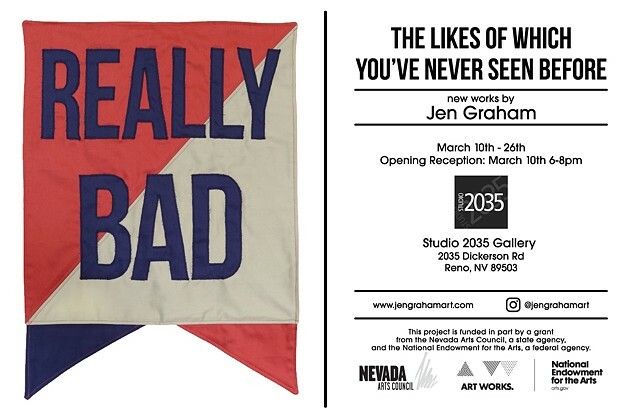 The Likes of Which You've Never Seen Before is an installation of pennants and banners sewn from fabric and felt, each displaying a word or phrase habitually repeated by Donald Trump. The pieces hang all across each other and the space, mirroring the messy circus of repetitive language pouring out of the Trump administration each day. The work highlights how words can lose their meaning and impact when they are used so frequently as bombastic rhetoric, and how the repetition of these once ordinary words has created an unavoidable association with Trump whenever they are heard, no matter the context. This work will be shown at Studio 2035 Gallery at 2035 Dickerson Rd in Reno, Nevada. The exhibit will run from March 10th-26th with an opening reception March 10th from 6-8pm. This exhibit is free and open to the public. 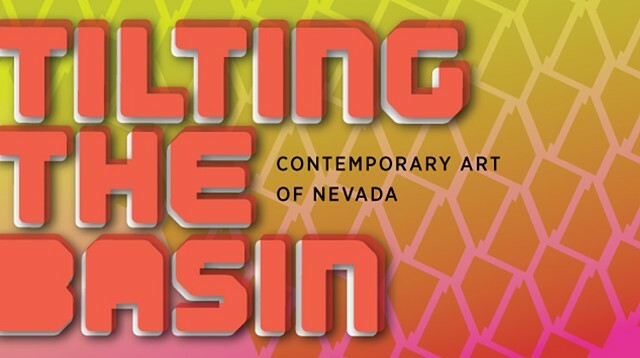 My piece Trajectory Patterns will be featured in Tilting the Basin: Contemporary Art of Nevada, an exhibition which bridges the divide between Northern and Southern Nevada communities, providing a wide-ranging overview of work by more than thirty Nevada artists. The exhibit will be on view March 17 through May 14, 2017, in Las Vegas, Nevada at 920 Commerce Street. Wed – Sun: 10 am – 6 pm | Fridays: 10 am - 9 pm. For more information please visit the Nevada Museum of Art website. Selections from my series At War With Ourselves will be on view March 20 - April 7 at the Carson City Legislative building during the biennial legislative session.